C. H. B. Reynolds (ed. 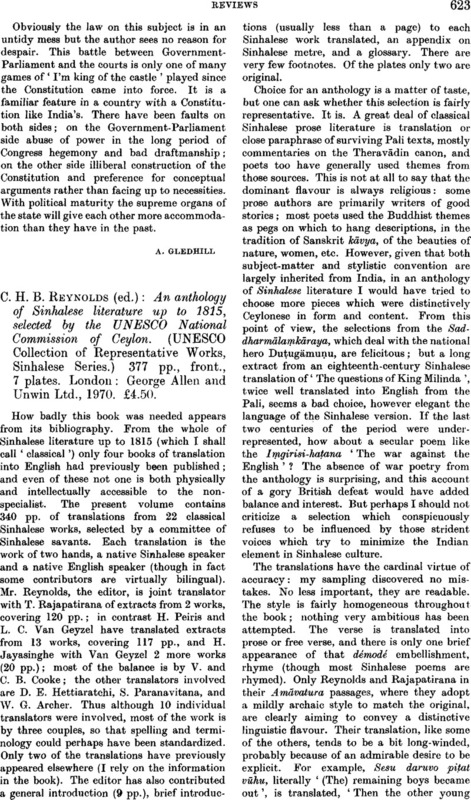 ): An anthology of Sinhalese literature up to 1815, selected by the UNESCO National Commission of Ceylon. (UNESCO Collection of Representative Works, Sinhalese Series.) 377 pp., front., 7 plates. London: George Allen and Unwin Ltd., 1970. £4.50.